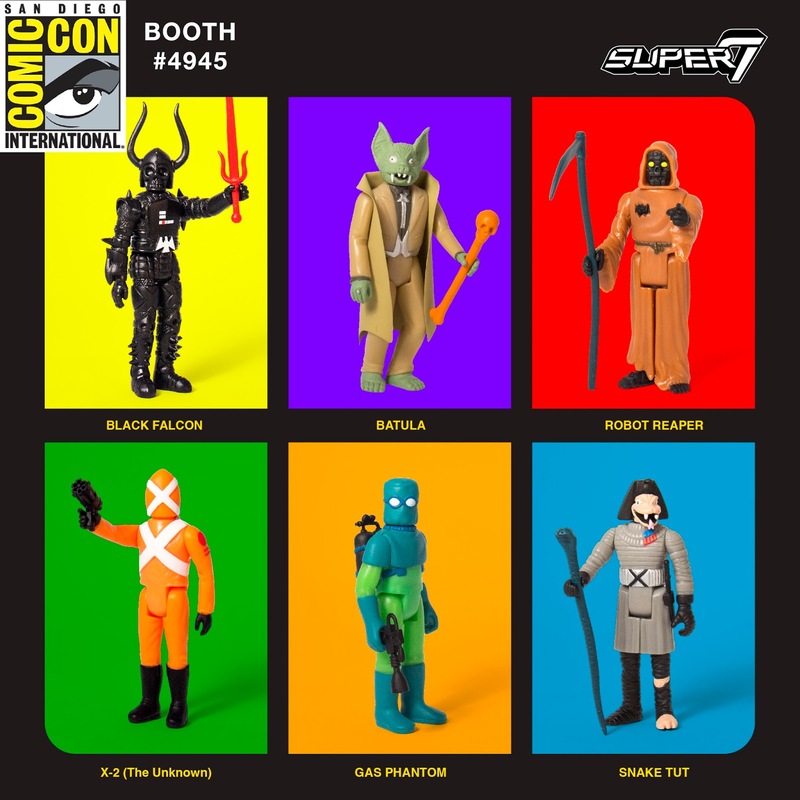 Super7 is releasing a freaking brilliant new colorway of their popular line of The Worst ReAction figures exclusively at San Diego Comic-Con 2017 inspired by Kenner’s original line of Star Wars action figures! These exclusive Star Worst Variants include X-2 the Unknown as X-Wing Pilot Luke Skywalker, Gas Phantom as Greedo, Snake Tut as a Death Squad Commander, Robot Reaper as a Jawa, Batula as Yoda and Black Falcon as Darth Vader. Each San Diego Comic-Con 2017 Exclusive Star Wars Edition The Worst ReAction Figure stands 3.75” tall, features multiple points of articulation and retails for $15. Pick up all six of these Star Worst Variants at the Super7 SDCC booth #4945.